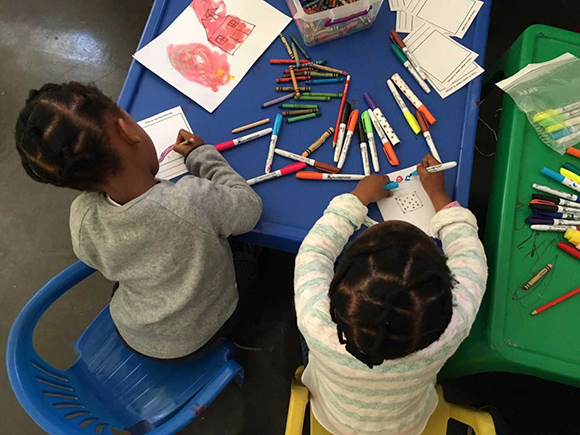 Children in Wisconsin and South Africa now share a special connection thanks to Shiloah Coley, a journalism major who is also pursuing certificates in art and African-American studies. Since January, Coley has been participating in the Madison Children’s Museum & Play Africa Internship (MCM-Play Africa), administered through the International Internship program (IIP), a unit of the International Division. Even among international internships, MCM-Play Africa is unique. Shiloah Coley used her internship with the Madison Children’s Museum and Play Africa to allow kids in Madison and Johannesburg to share their daily lives through art. The success of the project led to it debuting at the Met as well. Coley is a journalism major and a Posse Scholar. Students spend spring and fall semesters interning at the Madison Children’s Museum, where they curate exhibits, plan programming, work with children and parents, and provide other assistance to staff. 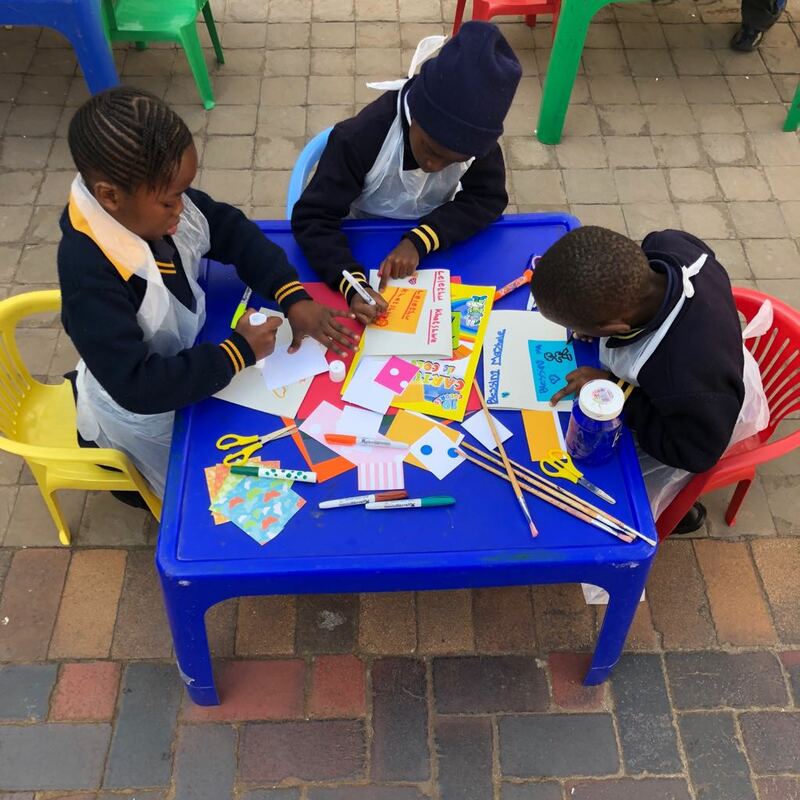 During the summer, students are on-site in Johannesburg at Play Africa—a South African non-profit dedicated to creating safe and inspiring learning spaces for children. As an intern with Play Africa, students learn the inner workings of an NGO, create and execute exhibits, and interact with children and families. A key element of the experience is developing a project that connects MCM with Play Africa. Coley devised a program that would let kids in Madison and Johannesburg get learn more about one another through art. Coley brought art from MCM, created during the spring, and displayed it at Play Africa. This fall, she is displaying the art from Play Africa at MCM. The program has been a hit with children in both Madison and Johannesburg, who have been enthusiastic to share their lives with peers around the world. Children at Play Africa create pieces showing aspects of their daily lives. The success of Coley’s art project between MCM and Play Africa even opened doors for her at the Metropolitan Museum of Art in New York City. Over the summer, Play Africa received a request from the Met to participate in #MetKids, a program to recreate images from the Met’s archives with a theme of their choosing. Play Africa asked Coley to develop a proposal. This revelation led Coley to propose an idea where children at Play Africa would reimagine images from the archives, inserting themselves, their friends, families, and their own lives to create a more diverse representation. The Met and Play Africa embraced the idea. Coley chose 30 images from the archives that children at Play Africa used as inspiration to share their own lives. 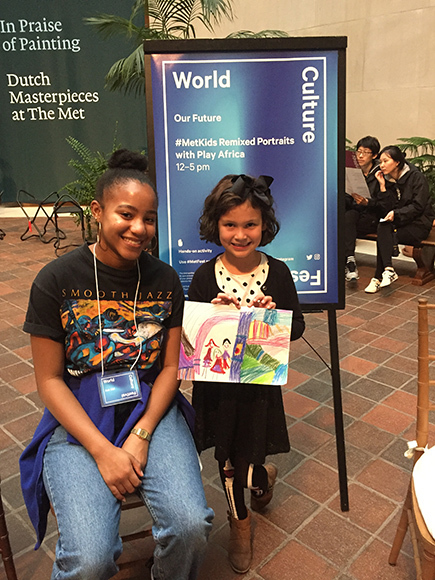 The reimagined works were displayed alongside the archived originals on October 28 at the Met, where they were viewed by over 200 children and their families. 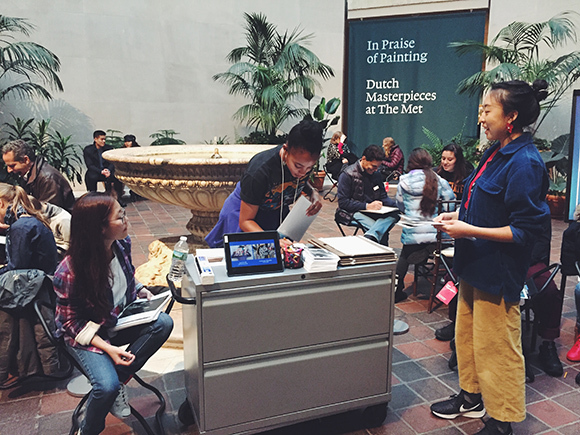 Coley worked with staff at the Met to allow patrons to view and recreate archived pieces based on the MCM-Play Africa project. Coley helped facilitate the exhibit in New York, which also offered viewers the opportunity to recreate the same works with their own lives, continuing the spirit of exchange between children in the U.S. and South Africa. Michelle Kern Hall, interim director of IIP, noted that international internships such as MCM-Play Africa have benefits beyond developing professional skills—they also bring significant value to communities in Wisconsin and abroad. Coley had already added international dimensions to her UW–Madison experience through participation in the Global Gateway Program—a four-week study abroad program designed to introduce first and second year students from diverse background and fields to international and global issues. She traveled with a cohort of students to Rio de Janeiro in 2017, where they explored various aspects of life and culture alongside a UW–Madison faculty member. Coley, who plans to attend graduate school and research the impact of art on urban communities of color, was particularly taken by graffiti art and murals used to record and share history with tourists. She tied these interests into a research project completed during the program. Having had such positive experiences on the world stage, Coley hopes more UW–Madison students will pursue opportunities abroad.